The Knox Medal honours individuals who deserve special recognition for the innovative and influential work in the field of separation science, and since 2010 has been awarded to separation science grandees such as Prof Keith Bartle, Prof Pat Sandra and Prof Peter Schoenmakers. The RSC Separation Science Group are delighted to announce that Prof Jim Jorgenson is the 2018 recipient of the Knox Medal. John H Knox (1928-2018) was a pioneer in the development of modern high-performance chromatographic methods, including gas chromatography (GC), liquid chromatography (LC) and capillary electrochromatography (CEC), for more than five decades. He was an early leader in the field of GC, and first demonstrated its use for quantitation in the field of gas kinetics. In 1964, he carried out studies on fundamental aspects of band spreading in LC while on a visiting fellowship with Prof J C Giddings – this work formed the basis for the “Knox equation”. In 1972, he was awarded a grant from the Wolfson Foundation, which led to the foundation of the Wolfson Liquid Chromatography Unit (WLCU). This in turn lead to the development of microparticulate packing materials for LC that are now marketed under the trade name Hypersil. An entirely new packing material was subsequently developed by WLCU, namely porous graphitic carbon (PGC). It is the only porous graphitic material which has become commercially available. Other developments attributed to John H Knox and his research group include: early work on ion-pair chromatography, the separation of a range of drugs and metabolites with Jurand, advances in the theory of band spreading in exclusion chromatography with McLennan, in the theory of overloading in preparative chromatography and finally benchmark papers on CEC. JHK became a Fellow of the Royal Society of Edinburgh in 1973, and of the Royal Society of London in 1984. To honour individuals deserving special recognition of their innovation or influential work in the field of separation science. Anyone from an industrial or academic background, who is working or has worked in the field of separation science. Innovative, influential work in the area of separation science, e.g. recognised excellence in development, application, training and/or dissemination of information and results. Calls for applications will be made via RSC newsletters, website, e-mail and appropriate journals. Nomination for award is via an open nomination system from within the scientific community. A nominee must be proposed and seconded by separate individuals, who must each produce a one-page justification for the award that meets the defined criteria. Self-nominations will not be accepted. Any nominations submitted for the award will be decided upon, for their suitability, relevance and or merit, in line with the criteria of award, by the SSG committee at the May committee meeting. The decision of this group is final. The award will be infrequent, the timing of the award being governed by candidacy and the opportunity to present the award at an appropriate meeting. 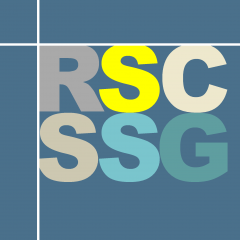 The medal will be presented to the designated recipient at an appropriate scientific meeting together with a Certificate of Award signed by the Chair of the SSG and Chair of the Analytical Division of the RSC. The Chair of the RSC SSG, or his/her designated deputy, will present the award. The recipient would normally be expected to give a presentation of their work. Prof Myers began his career at Unilever Research (Port Sunlight, UK), but it was as Technical Director at Phase Separations that he revolutionised the field of HPLC stationary phases by showing that porous spherical silica particles could be reproducibly manufactured, classified, bonded and packed by methods still in use today. His work led to the development of Spherisorb, which went on to become the largest selling silica worldwide. His later work as a consultant for Waters directly contributed to the release of the first Alliance HPLCs, as well as the development of the Symmetry range and novel hybrid silicas, and the sub-2 μm silicas for use on the Acquity UPLC systems. Prof Myers’ innovative thinking extended to many areas of analytical measurements, including the design of portable, accurate electronic flow meters for HPLC, wide-ranging studies in microcolumn separations using gas, liquid and supercritical mobile phases, the development of pump-less HPLC wherein flow is driven centrifugally, and more recently, exploring alternatives to silica for stationary phase development. In addition to his technical expertise and scientific inventiveness, Prof Myers is also a formidable scientific communicator, with over 70 scientific publications and a huge number of lectures and presentations at international conferences and symposia to his credit. To date, at least 32 PhD students have benefited from his supervision and advice, both at the University of Liverpool where he has his own research group and at numerous other universities across the UK. He has worked tirelessly for the separations community, organising the popular Desty Memorial Lecture meetings and generously giving his time and expertise to organising committees at various conferences and scientific interest groups around the world. The Knox Medal was presented to Prof Myers at HTC-15 in Cardiff in January 2018, where he gave the plenary Knox Lecture entitled ‘Why do we still use silica?’. Professor Keith Bartle is an Emeritus Professor of Physical Chemistry and a Visiting Professor in the Energy & Resources Research Institute of the University of Leeds. Professor Peter Schoenmakers is at the Van’t Hoff Institute for Molecular Sciences, University of Amsterdam. He received the Knox Medal at the 1 3th International Symposium on Hyphenated Techniques in Chromatography and Separation Technology (HTC-13) in Bruges in January 2014. His research interests cover polymer analysis, gas chromatography and more recently, comprehensive two-dimensional chromatography. He has been the Chair of Analytical Chemistry and Forensic Science at the University of Amsterdam since 2009. Peter is an enthusiastic ambassador and champion for the chromatographic sciences and serves on a number of editorial boards including the Chromatography Monograph series of the Royal Society of Chemistry. Prof Wilson holds the Chair in Drug Metabolism and Molecular Toxicology at Imperial College London. He trained as a biochemist at the University of Manchester Institute of Science and Technology, going on to a PhD at Keele University on insect moulting hormones. After this he worked in the pharmaceutical industry, most recently as a Senior Principa l Scientist in the Dept of Drug Metabolism and Pharmacokinetics at the AstraZeneca Research site at Alderley Park in Cheshire (UK), joining Imperial College in 2012. He is the author, or co-author, of some 480 papers or reviews, and his research is directed towards the development of hyphenated techniques in chromatography and their application to problems in drug metabolism, toxicology and metabonomics. Prof Lim was awarded the Knox Medal based his contr ibution to the development of separation science in general, and to the field of porphyrin analysis in particular, work that has resulted in the elucidation of several previously unknown metabolic pathways. This award recognises an outstanding contribution to separation science over a prolonged period. Prof Sandra is an Emeritus Professor in organic chemistry at Ghent University and the founder and President of the Research Institute for Chromatography in Kortrijk, Belgium.